At Sandy Sansing Dealerships, our highly qualified technicians are here to provide exceptional service in a timely manner. From oil changes to transmission replacements, we are dedicated to maintaining top tier customer service, for both new and pre-owned car buyers. Keeping up to date with routine automotive service is the best way to ensure that your car, truck, or SUV will continue to run at peak performance levels for years to come. Without that regular maintenance, you risk experiencing more serious issues down the road, which can lead to more costly repairs. Routine auto service will not only keep your vehicle running smooth and safe, it will also save you money. Allow our staff to demonstrate our commitment to excellence. 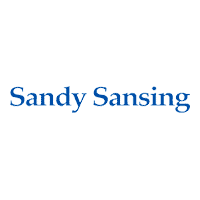 Check the list below to find the Sandy Sansing Service Center near you, and schedule a service appointment with us online today!